Meet the Glow-in-the-Dark Doughnut Everybody is Loving! How many things can you list that glow in the dark? Stars, moon, planets and glow worms would definitely top your list. 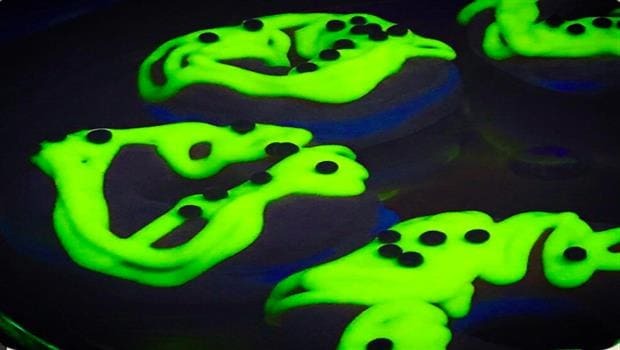 But have you seen a doughnut that glows in the dark? Yes, a doughnut! A Sydney based bakery has gone where no doughnut-maker has gone before. The’ve come up with a glow-in-the-dark variant of the good old doughnut, and looks like social media cannot get enough of the it! It all started when a Sydney-based bakery decided to create something spectacular for the 2016 Vivid Festival – one of the biggest light festivals in Sydney. Chris Thé, owner of the Blackstar Pastry wanted to come up with a dish that people would easily associate with the popular light festival, according to their official website. It took the bakery several months to perfect the dish which they eventually called ‘Glonut’. It’s the specially designed icing used on the donut that makes it glow. According to its makers, the ingredients used for the icing contain Vitamin B. They decided to ice the donut in yuzu glaze, which is also quite tart, so there is a balance of sweet and sour on the buttery donut. The icing is made using Riboflavin (or Vitamin B) which glows under UV light. Blackstar Pastry has been in business since 2008 and the bakery claims that they use natural ingredients for all their recipes. 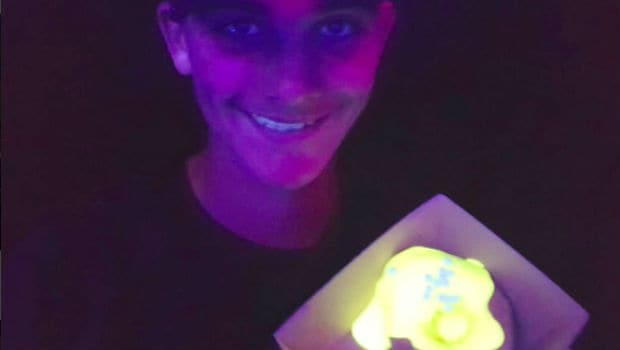 The glowing donut has joined the category of glowing galaxy-inspired foods like Dairy Queen’s galaxy cake and Disney’s glow in the dark cotton candy. NEXT POST Next post: 10 Home-made Masalas that Will Make Your Cooking Flavoursome!